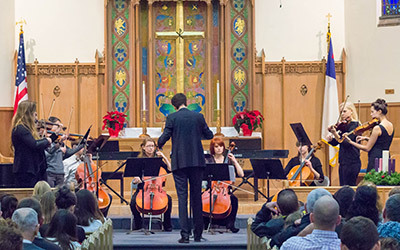 The New Saint Andrews Certificate of Music is offered in conjunction with its Bachelors Degree in Liberal Arts and Culture. 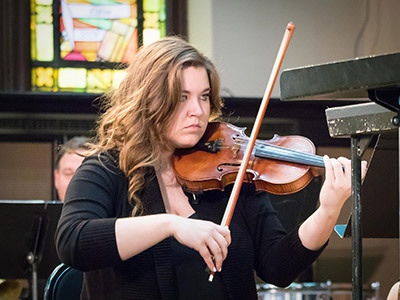 Not only is music an integral part of the Liberal Arts, but it is an integral part of the Church. 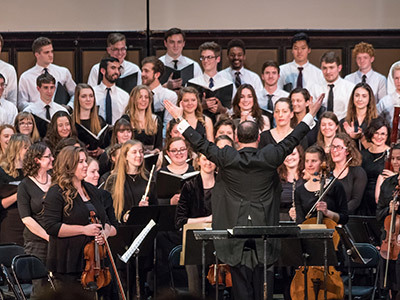 A Certificate of Music at New Saint Andrews College is not only excellent preparation for a Masters program in Music, but the strong pedagogy of the program will enable students to bring Music literacy into their homes, Churches and schools. Before Applying to the Certificate of Music Program please ensure you have an active application with New Saint Andrews College. All freshmen at NSA take Musicianship, but the Certificate of Music student will need to test into Honors Musicianship where: theory, oral skills, aural skills and music history will be honed in. As a student continues in the Certificate of Music, so they will continue in their music studies, continuing to grow pedagogically in the skills required for fluency in music. 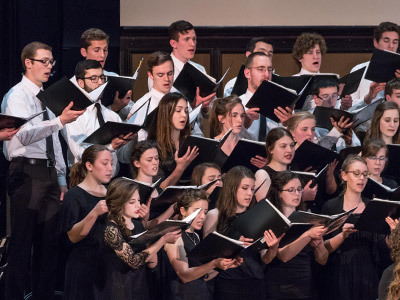 The goal of this course is to familiarize students with several of the major choral and instrumental forms and com-positional techniques they are likely to encounter in a variety of career paths, and equip them with skills to compose and arrange various types of music in liturgical and academic settings. In addition to the exercises and skills developed in this course, students will be required to sing important motives from representative works, further familiarizing themselves with the literature. Building on a firm knowledge of western tonal theory through the 19th century, this course will introduce students to ideas, composers, and forms in the classical era, such as Periods, phrases, Dominant/subdominant/tonic pedal, Secondary dominant and chromatic third relationships, sonata form, sonata Rondo, double exposition, large ternary, theme and variations, minuet and trio, and representative composers such as Haydn, Mozart, and Beethoven. 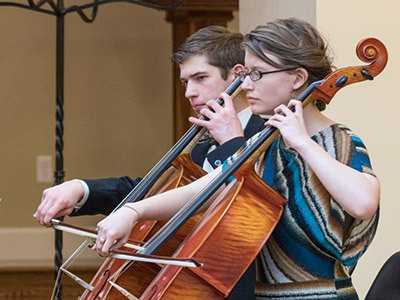 Having completed this course, it is the expectation that students can explain, define, diagram, and analyze the above forms and concepts in instrumental works, including sonatas, string quartets, concertos, and symphonies, and correctly contextualize them historically and stylistically in the canon of western music. Students accepted into the Certificate of Music will be required to take both a primary and a secondary instruments through Applied Lessons. These private and semi-private lessons are included in tuition. Students will be trained in the instruments of their choice for copiousness in music. Students improvement will be assessed through Juries held at the end of each semester. 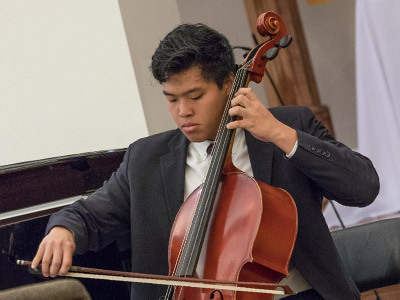 Students accepted into the Certificate of Music program will be placed in either the Choral Ensemble or the Orchestra Ensemble depending on their skill level. They will remain as part of the ensemble for their entire four years at New Saint Andrews College. *Tuition for the Certificate of Music is in addition to the current NSA tuition. You must be first accepted as an undergraduate student into New Saint Andrews College before being accepted as a Certificate student. You may audition with an application still pending. 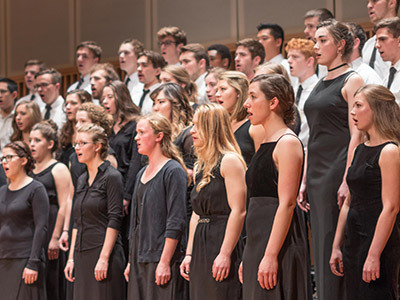 Acceptance into the Certificate program is not guaranteed by acceptance into the undergraduate program – musical ability must be verified through an audition process. Have a pending or accepted UNDERGRADUATE APPLICATION at New Saint Andrews College. Complete the Certificate of Music APPLICATION. *Perform two pieces in your primary instrument (classical music preferred) for the Head of the New Saint Andrews Conservatory of Music. *Perform two pieces in your secondary instrument (classical music preferred) for the Head of the New Saint Andrews Conservatory of Music. Take a theory test for placement. Show aural skills through: intervals and site singing. 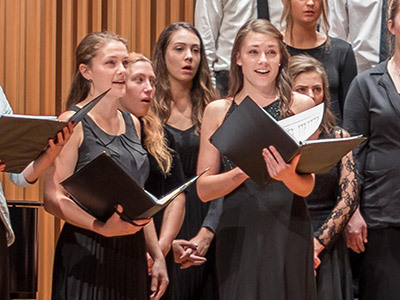 After acceptance into the undergraduate program, and after auditions, you will be notified–via written correspondence– of your acceptance or rejection into the Certificate of Music program. *Auditions for the Certificate of Music can be arranged during Prospective Student Weekends. If this schedule does not work for you, please contact the Conservatory of Music by email HERE.